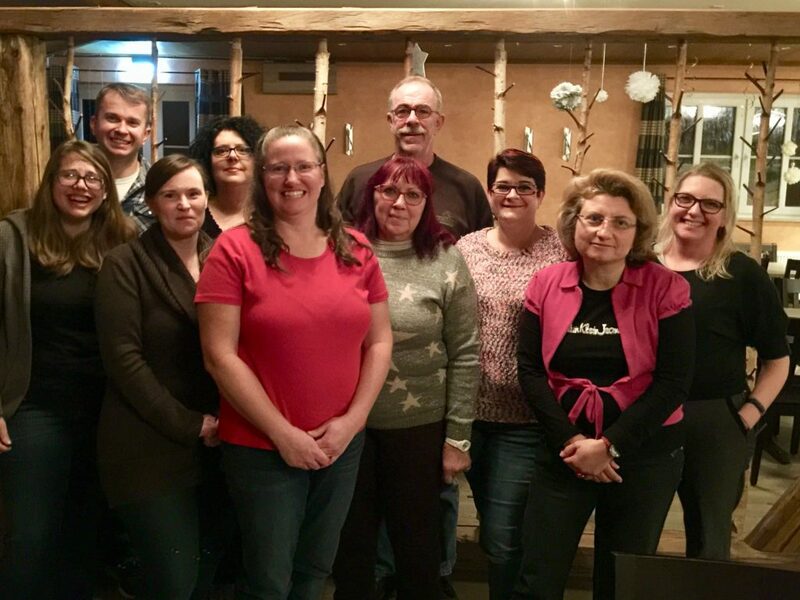 ANSBACH, Germany (Feb. 8, 2019) – Outreach-KONTAKT Franken, USAG Ansbach’s official German-American friendship club, gathered its members Tuesday evening for annual board elections and voted on a new board for the year 2019. Interested community members are always invited to join a Stammtisch and meet with club members in an informal and friendly atmosphere. To learn more about the friendship club, visit Outreach-KONTAKT Franken on their Facebook page, which is host to all their news, events and activities. The Outreach-KONTAKT program gives American Soldiers, family members and civilians an opportunity to learn about Germany and understand its culture alongside Germans and citizens of other countries. It serves as a bridge to overcome cultural differences. Club members are goodwill ambassadors for both the United States and Germany. It is U.S. Army Europe’s (USAREUR’s) only regulatory outreach community relations program and connects the Army and local communities in current, enduring, and former USAREUR communities.